National Geographic has published an article written by Christina Nunez, which contains a series of photographs featuring “7 Cool Ways Cities Are Thinking Ahead on Climate Change”. One of these stunning images is the one we are presenting to you today. The picture shows the ingenious way the Dutch city has come up with to fight climate change, through floating neighbourhoods. 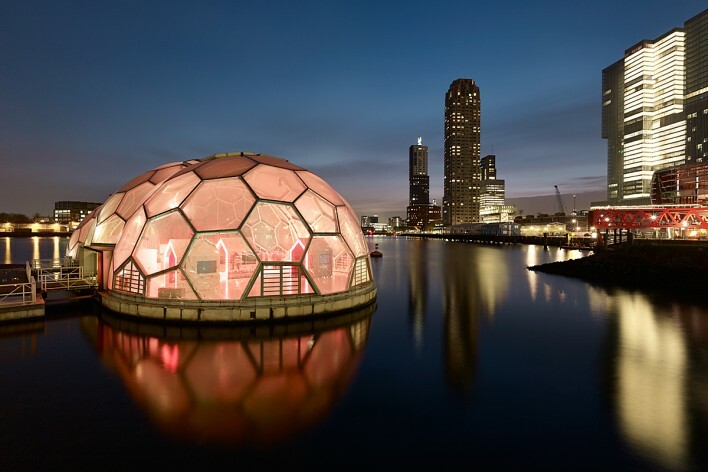 This solar-powered pavilion embodies a first step towards a similar but larger clean-energy powered area, and is used as an exhibition space to feature Rotterdam’s ambitious climate change plans for the future. The UNFCCC Climate Photo of this week was taken by Jonathan Andrew in Rotterdam in the Netherlands.